PRICE REDUCED to $150,000! 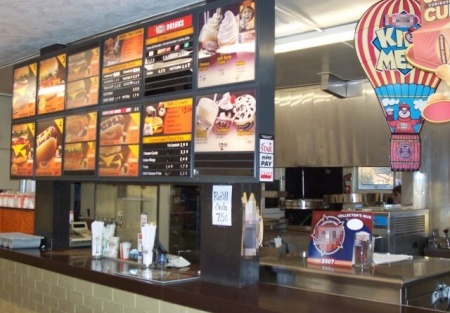 This is a rare opportunity to get your drive-thru restaurant anchored in one of the areas fastest growing cities. This is in a prime location, across the street from over 1,000 new homes, and still growing! It has been a hamburger franchise for the past 44 years, but the brand name has really lost steam in the industry. Convert to a new concept, and watch your business soar. This stand alone building is 1,600 sq. ft. with a monthly rent of $3,000. NO CAM or NNN fees!! The owner is also offering first right of refusal to purchase the real estate, and three rental homes on the shared property after the second year of the lease. Owner is retiring. Take the next step to register and complete the online confidentiality agreement to get the restaurant name and address. Also you'll be given previews to our new listings in the future, giving you the greatest chance to �scoop in� the best opportunities as they become available. Convert this location to your drive-thru concept.